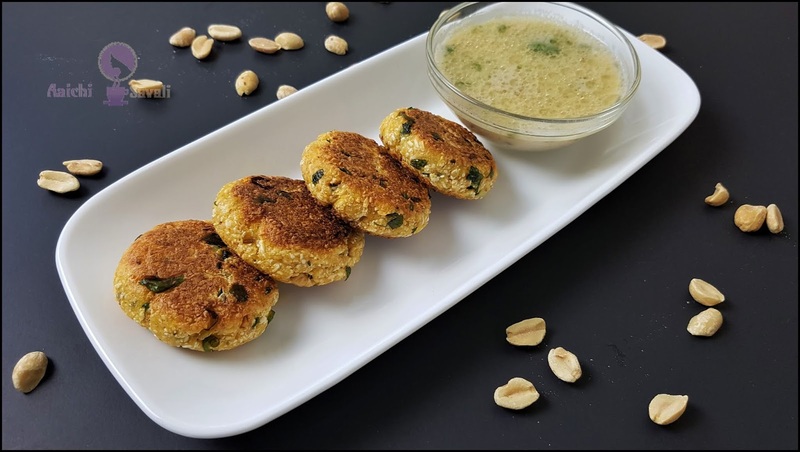 this delicious paneer cutlets recipe that is a perfect tea-time snack, breakfast or even lunch during fasting days. Navratri refers to the nine auspicious nights during which Goddess Durga is worshiped, and most people observe fasts. It is celebrated twice a year, at the beginning of spring and during the onset of autumn. It is one of the biggest Hindu festivals. During Navratri, most people give up non-vegetarian food and some people also eliminate onion and garlic from their meals. 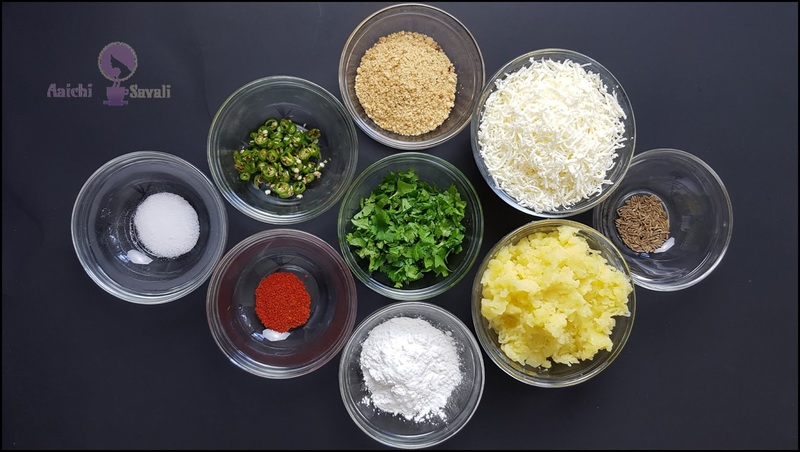 Paneer cutlet is a fresh recipe that gives you a break from the usual fried sabudana vadas and puri. 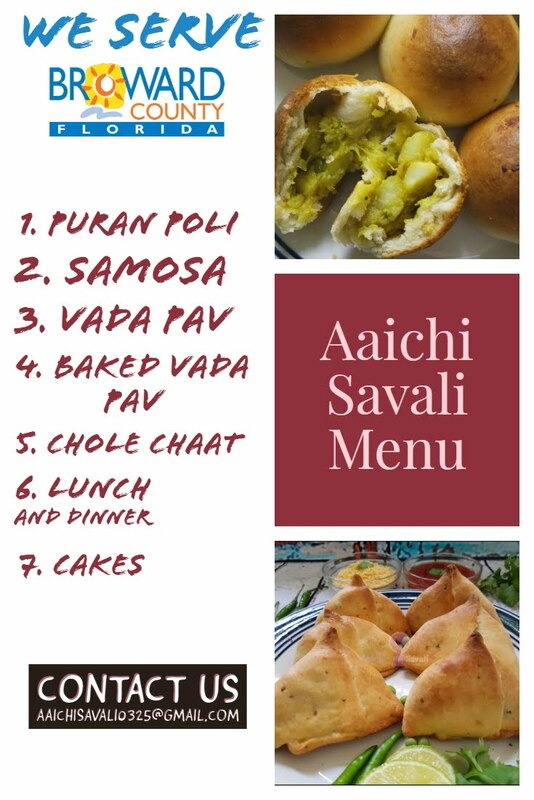 You could have it with dahi or with fasting peanuts curry or with chutney too. You can enjoy these cutlets guilt-free for breakfast, evening tea or as an appetizer. This healthier version is not fried and above all its fasting recipe and its a no onion no garlic recipe too. 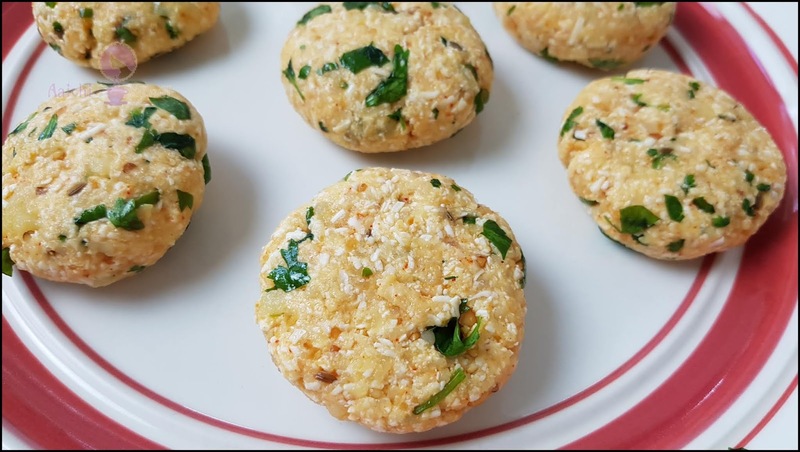 Make small and round tikkies from the dough. Heat veg.oil in a pan and drop prepared tikkies. Fry until it turns nice golden from both the sides. 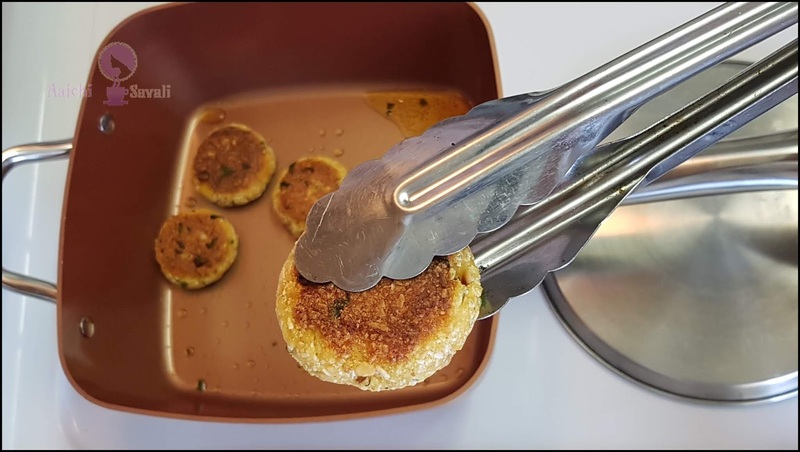 Crispy and tasty paneer cutlets are ready to serve. Enjoy!!! rajgira flour instead of arrowroot. To make it vegan, you can substitute paneer with tofu. It can be a perfect make-ahead appetizer. 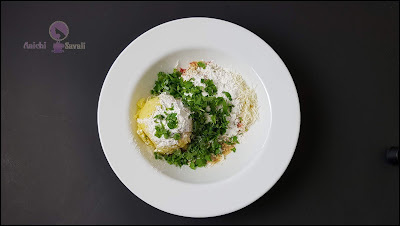 Prepare the cutlets and store in an airtight container. Per serving contains 100 calories, along with carbohydrates - 9.42 g, dietary fibers - 1.82 g, fats - 5.83 g, proteins - 5.11 g.
Paneer cutlets are a good source of protein. Potatoes are rich in carbohydrates which makes them an excellent source of energy which comes handy when you are fasting. Peanuts, apart from being rich in carbohydrates peanuts also contain proteins which your body needs during fasting. Peanuts contain B complex, vitamins like niacin, riboflavin, thiamin, vitamin B6, vitamin B9, pantothenic acid, etc. Peanuts also contain Vit.E which is good to keep skin healthy. Many times, fasting causes bloating, and cumin can prevent that too. 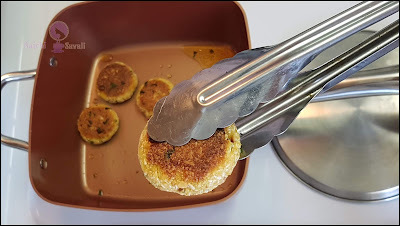 It is good to eat paneer cutlets for breakfast as well as an evening snack or for lunch.